Marcie Thrailkill is the President and Senior Recruiter of M. Thrailkill & Associates, a management and executive search firm founded in January 1999. M. Thrailkill & Associates provides talent acquisition and consulting services nationwide to both businesses and the workforce. Marcie has thirty years’ experience in corporate executive and field management recruiting. In 1989, she joined American Service Management Resources, Inc. based out of Dallas, TX as a hospitality recruiter and was promoted to Manager of Recruiting in 1995. In that role, Marcie developed and maintained client relations, providing the highest level of support for both companies and individuals in their respective growth and careers. 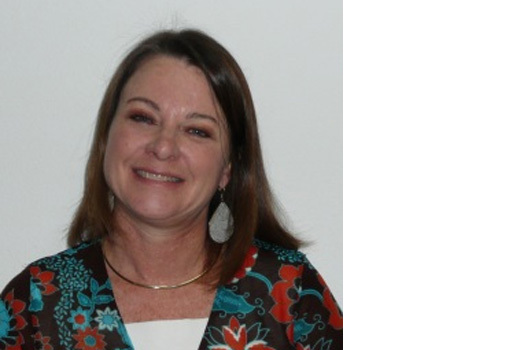 Marcie began her hospitality career in 1980 with Hardee’s Food Systems, Inc. Marcie progressed through management positions and then transferred to the Specialty Foods Division which included college and travel center venue restaurants. By 1986 she was Training Manager for forty units in the Western Division of North Central Food Systems (NCFS), an eighty-unit franchisee of Hardee’s. As a member of NCFS “Presidents Council” Marcie contributed to the evaluation processes for operations, marketing, concept development, menu promotions, employee relations and retention. Following NCFS, Marcie was Manager for the Lory Center Dining Services of Colorado State University. In this position Marcie was charged with managing the main student dining service facility. Marcie is involved in church and community service activities including the Alzheimer’s Association, outreach organization HOPE, and the Boys and Girls Club. Marcie is a supporter of Pro Start, a school to career program developed by the Education Foundation of the NRA, and a member of the Women’s Foodservice Forum and the Multi Cultural Foodservice & Hospitality Alliance. Marcie is married and enjoys time with her husband, two children and their families, their two Border Collies and friends. Marcie participates in many of the exciting outdoor activities that the beautiful Colorado Rocky Mountains offer including hiking, snow shoeing, archery, ATVing, and camping. Marcie also enjoys gardening, entertaining and discovering the many culinary and beverage offerings that are offered along the Front Range of Colorado. Denise Lucas joined M. Thrailkill & Associates in 2004 as a Management and Executive Recruiter. She successfully sources and places individuals in executive and management leadership positions in various disciplines with clients located coast to coast. Denise offers a wide range of customer service, sales and administrative support. Denise is an integral contributor in growing the business and reputation of M. Thrailkill & Associates as well as the clients we serve! Denise worked for Grizzly Adams Productions as a Senior Licensing Consultant. While in this role, she handled all domestic and international product sales increasing transactions over 55% through maintaining the existing client base and developing new accounts. 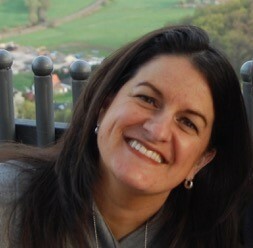 Denise has also been an Account Executive with Clear Channel Communications. During this time, she generated radio sales, designed commercials and created advertising campaigns that allowed their clients greater exposure to their consumer base. Denise served as a Marketing Manager for a regional mall managed and owned by General Growth, Inc. There she created, developed and implemented overall strategic marketing direction in driving revenue generation through corporate initiatives and extensive community involvement. As part of her professional and community involvement, Denise has been past President for Working Woman’s Conference and Women’s Development Counsel. She served as the Ambassador for Fort Collins Colorado Chamber of Commerce and past Executive Board Member of her Homeowners Association. She is a member of Women’s Foodservice Forum. Denise is involved in community service activities (Caring for our Aging Parents Group) and her church. She has an Associate Degree from the College of Sequoias. Denise enjoys time with family and friends, cooking, golfing, traveling and enjoying the flavors and culture of wines along the coast! Denise is a sports enthusiast, plays Fantasy Football, and roots on her team, the Washington Redskins. She is an avid supporter of Breast Cancer research and the Alzheimer’s Association. 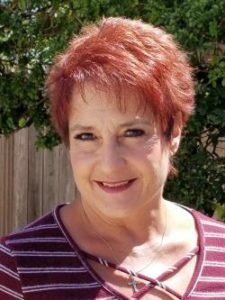 Karen Grebener joined M. Thrailkill & Associates as a Recruiter in early 2017. In 2018, she expanded her role to include various administrative duties as well. Karen was born and raised in Arcadia in Southern California. After high school, she stayed close to home and went to California State Polytechnic University in Pomona where she received her undergraduate degree in Liberal Arts. She continued pursing her education at Southwestern University School of Law in Los Angeles, where her law degree was conferred in 1995. Shortly thereafter, Karen began her professional career in non-profit management, working for organizations such as the American Cancer Society and Junior Achievement. She worked in event planning and fundraising. Within the year, Karen was promoted to Regional Director, where she helped oversee their Northern Illinois office. Over the years, Karen was fortunate enough to work with a team of dedicated volunteers and employees and be a part of raising millions of dollars for cancer research, education and awareness. In the summer of 2005, Karen and her family relocated to the Denver CO area. It was then that she began her recruiting career, working for a boutique recruiting firm which specialized in commercial construction. She was successful from the outset, where she was their top producer in 2006 and 2007. In 2009, Karen and her family were offered the opportunity to move to Germany and work with American military families. While there, she worked in public health for the US Army, focusing on mitigating high risk behavior in Soldiers and their families. With such rewarding work, her family extended their stay and lived in Germany for over six years. At the urging of her extended family, Karen and her family returned to Colorado in 2015. There, she was able to return to her passion of recruiting by working as a Corporate Recruiter for Noodles & Company. During her tenure, she hired countless managers for their restaurants all over the Western United States. Karen is married with two children, living in Fort Collins, CO. Whenever possible, she volunteers at her children’s schools, at her church and is on the Board of Directors for the Willow Springs Community Swim Team. Karen enjoys baking, cooking, entertaining, reading, cheering on her son at his swim meets and spending time outdoors with her family.